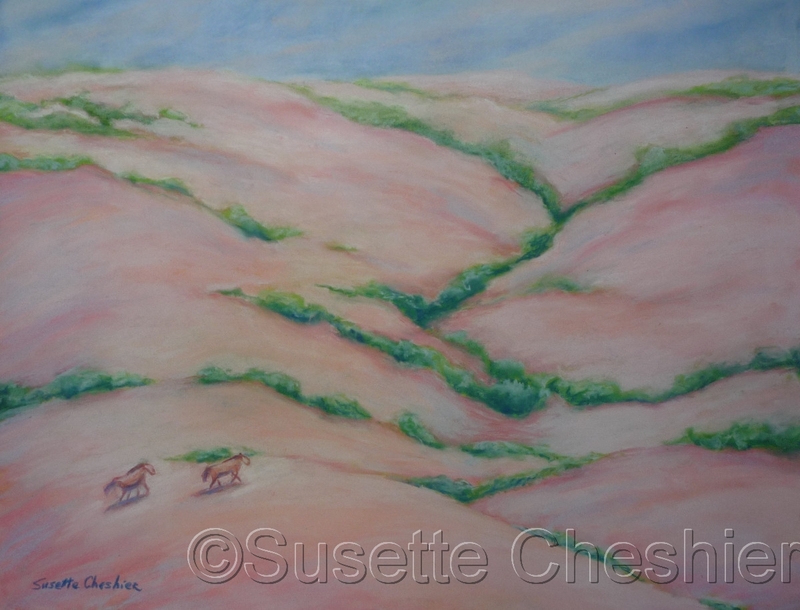 Landscape of pink rolling hills of eastern Washington with pink horses. Semi-abstract pastel painting. 7" x 9.25"9" x 11.75"11" x 14.5"13" x 17"